Numberella was invented by Alexander F.L Newberry MSt Oxon, the founder of ANT Education. Alongside running ANT Education, ‘Alex’ undertakes private tuition in London specialising in accelerating mathematics and literacy in underperforming children. He has had success helping children with both dyslexia and dyscalculia, including turning around a six year old child with both conditions from not being able to count to getting 98% and top of the year in 18 months. With 9 years and over 10k hours of teaching under his belt, Alex has also helped a great many children achieve school entries at 11+ and 13+, with a 99% success record. In the pursuit of helping students achieve their educational goals, from 2012 Alex began developing the ANT range of motivational brain training books, which now embrace both Maths and English. These books, which combine motivational strategy with brain training, are credited by many parents with helping to turn around their children’s school performances. Read a recent testimonial here..
Alex began to develop Numberella in 2014, when traditional motivational strategies, and the range of ANT books were not working. This happened in particular with children who were extremely pressure sensitive and/or suffering from mild ADHD/behavioural disorders or on the edge of the autistic spectrum. 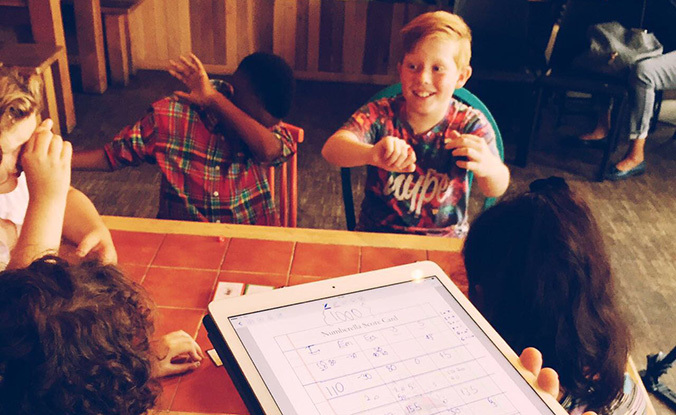 Numberella is designed to take the teacher off a pedestal and create a space where teaching is less formal, more fun, and crucially, allows students to ‘win’ while learning maths. Starting off as a few pieces of screwed up paper in a bag, the game has been developed over 4 years and thousands of teaching hours, and has been trialling successfully in a wide range of UK schools in 2017. To read feedback about Numberella from teachers and pupils, click here..
To learn more about the research behind Numberella, please click here. Drawing from his imagination Moritz started making films in his head from a young age, dreaming up stories while playing with toys. The first 'real' films followed during his school years - silly little productions that showed, if anything, a certain disregard for convention. When it later was time to learn a profession, he went on to hone his skills in creating visual narratives by going to film school and studying animation, as well as film directing. Work on documentaries, feature films and animated projects followed, with short excursions into various related fields. He now resides in Berlin, working on all things audio-visual, for print, the fabulous internet, and even those good-ole-fashioned places they call cinemas.